Hi, We at WRM Collectibles will be on a 10 day Military Collectible Buying Trip thru the Southern USA. 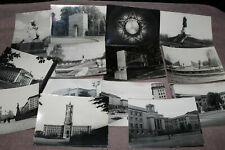 We will be visiting several states looking to buy many new items for our ebay store. You can still buy items from our store while we are away from April 19th, 2019 to April 28th, 2019. All items sold in our ebay store during these dates will be shipped out on Monday, April 29th, 2019. Sorry for the delay in advance. Thank you and best regards, WRM. Warroom Military Collectibles is located in Buffalo, New York and are buyers and sellers of original military items from WW1 thru Operation Iraqi Freedom. 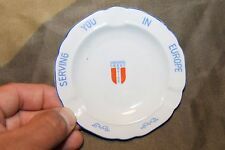 We specialize in WW2 American militaria and carry items from every nation. New items are added to our store every day. 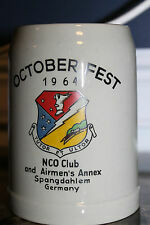 Original German Made U.S. Air Force NCO Club & Airmen's Annex Beer Mug, 1964 d.